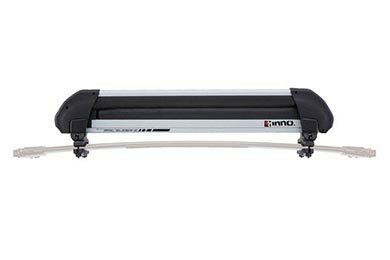 Read 17 customer reviews about INNO Ski & Snowboard Racks that have an average rating of 4.5 to find out what product is best for your vehicle. Installation was easy and only took about fifteen minutes but I'm sure it will be faster once I know exactly what to do. It has a clever locking system and worked perfect for my snowboard! The only thing was that it says it can hold four snowboards but those snowboards would have to be pretty small width wise, other than that it is great and worth the money! I'm on my school's ski team, so I use this rack almost everyday. While having the rail slider is nice, I don't know if it was worth the extra money. Then again I have a relatively short car, and I can see where it would work really well on a taller car, like an Xterra or Suburban. Great rack though, very tall, which makes a lot of wind noise. I am planning on buying the INNO wind fairing soon though. Reference # 766-172-422 © 2000-2019 AutoAnything, Inc.